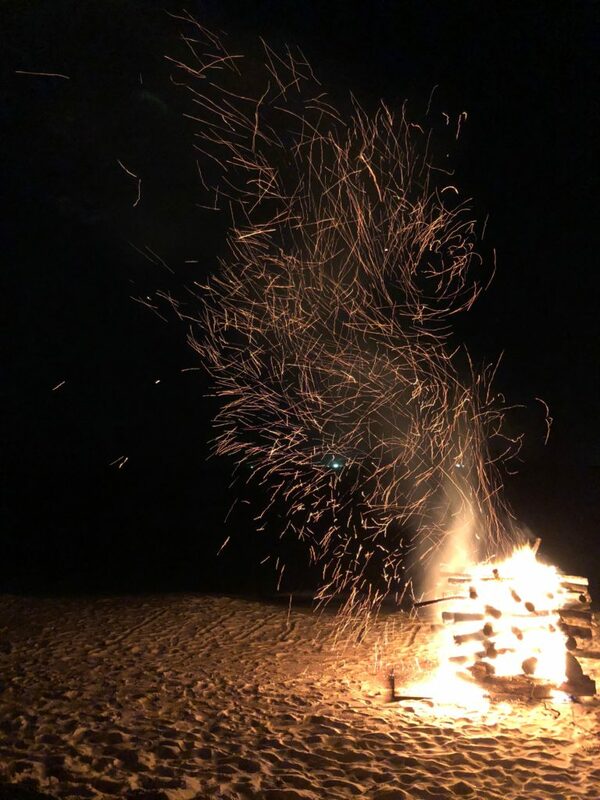 Smiling, the hotel employee struck the beach bonfire with a hard stick of his own, releasing a swarm of sparks worthy of the Instagram pictures the nearby guests sought. I sat on the stone steps just out of reach of the heat from the flames, watching the whole scene with a sense of bemusement. Not a few moments earlier, the lights had gone dark across the resort and free cocktails handed out: Marriott’s attempt at honoring the Earth Hour celebrations across the globe. Though I’m sure some felt like it was a good way to commemorate the moment, I could only think: do people staying in one of the most lavish resorts in the world really believe they’re being green? 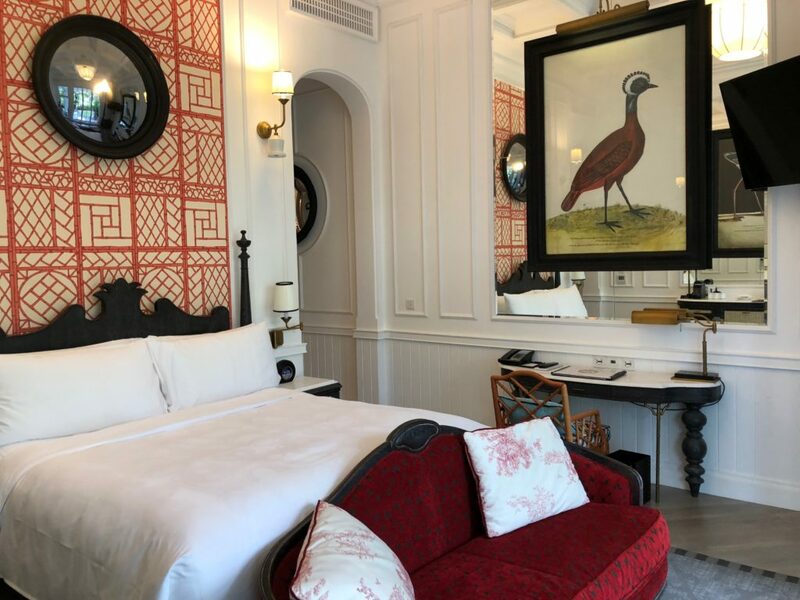 I checked into the JW Marriott Phu Quoc Emerald Bay for one simple reason: I had points to burn. The annual free night guaranteed by my Marriott visa was due to expire, and the points I had accrued from various stays in the US made for a cheap redemption in Vietnam. In fact, my entire holiday was structured around getting me from Japan to Phu Quoc because of the value of the property. Ordinarily, basic rooms here cost $300 a night; I was getting two nights for 25,000 points and an anniversary night. On top of that, because this was the low season in Vietnam, the front desk staff upgraded me to a beachfront suite with a private garden. I’ve never sought opulence, but certainly don’t turn it down when it’s given freely. My week in Vietnam stretched out, in much the way time does when one is on vacation. Hours at work tend to fuse together and fly by, even when we’re having a particularly rough day, whereas travel experiences make the moments last longer; anyone who has felt like they’ve been gone for months after vacationing for a few weeks can tell you that. I had to put in my hours at the office the Saturday I left, leaving just enough time to eat some lunch, scrub and wipe down the entire apartment, and make sure everything was secure prior to my trip… though, living in Japan, I’m sometimes tempted to test the limits of safety by leaving my doors unlocked, maybe a window open if I didn’t have to worry about rain. A quick train ride down to Haneda – first time for that – took me to an uneventful flight, landing in Ho Chi Minh City just after dawn. Cue the “Good Morning Vietnam” references. There’s a certain chaos to cities in Southeast Asia to which Tokyo and Osaka can never revert. Maybe at some point between the industrialization of Japan in the 70s and the clean up and rebuilding following WWII the country was full of dusty, dirty streets, cheap cars, and pedestrians going every which way. However, if that was ever the case, it certainly isn’t now. I have a Brazilian friend who has absolutely no desire to visit Japan again, mainly because it’s just too developed for her taste. Emerging from the airport and seeing the throngs of GrabBike taxis and seeming lack of traffic laws reminded me that she may have a point. Order reigns in Japan, with clean infrastructure, polished people, and public transportation usually spot on time. It’s not as though travelers can’t find some method to the madness of places like Bangkok and Phnom Penh, but to many of us, this chaos is what makes visits so appealing: we need a break from traffic lights and pedestrian crosswalks, in much the same way we appreciate trying new foods and seeing new places. 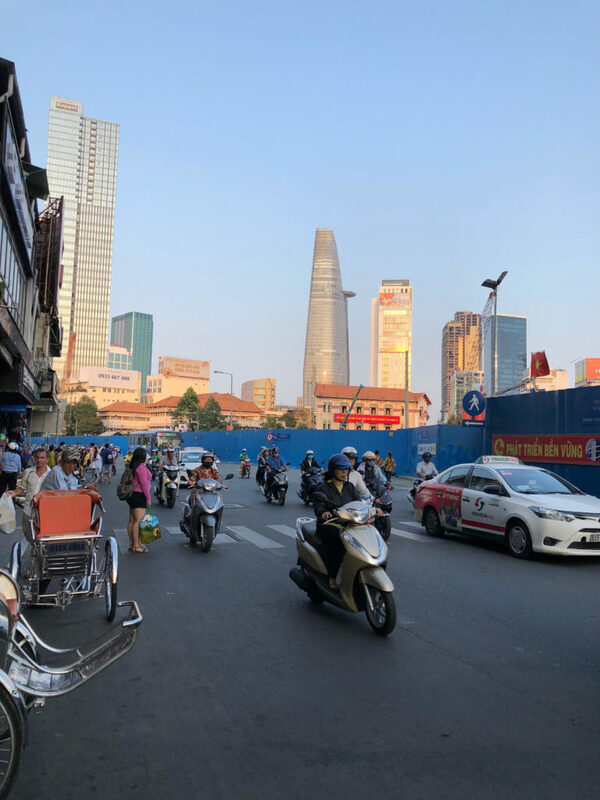 Rather than sleepwalking down the sidewalk as I might in the US or Japan, in Vietnam I had to be constantly alert, watching for motorbikes taking a shortcut or street vendors with no protection around their red-hot grills. This awareness made even a simple trip across town seem like a marathon, when in fact only thirty minutes may have passed. Two nights in a Saigon hotel with Chinese tourists. An hour-long flight south to Phu Quoc. I didn’t book the cheapest hostel on the island for my three-night stay, but to call it luxurious would be stretching the definition. Phu House Hostel boasted quite a few events for travelers, whereas many of the other budget accommodation nearby saved guests a few dollars, but left them to their own devices. As a result, my friends and I often headed to the rooftop at 5:00 for beers, followed by a quick dinner and whatever misadventures the staff had in mind. When I had had my fill of together time, I hailed a taxi and directed him to take me to the JW Marriott Phu Quoc Emerald Bay, approximately 20 km southeast of the hostel. The difference was immediate: no motorbikes zigzagging their way through the property; no backpackers. In fact, there wasn’t much background noise at all apart from the waves crashing on the beach regularly cleaned by hotel staff. When it comes down to it, I can’t say whether I would choose to book a decent or luxury hotel over a hostel, even negating the difference in price and service. Of course I’ll have more privacy and benefits on a beach resort, but I can’t ignore how each makes me feel as a solo traveler. When I was at Phu House Hostel, I was more tempted to get out and enjoy events and socialize. Everyone there was around the same age and had stories to share about their travels. More to the point, they were open to talking to strangers, even making friends of them. In the resort, though I had access to a cafe with fancy smoothies and baked goods, I was also more isolated. People don’t (necessarily) come to five-resorts to make new friends and travel. They come with their children to relax on the beach, eat in the onsite restaurants, and avoid the kind of chaos I’ve come to love in Vietnam. They come with their husbands and wives on a second honeymoon or as part of a planned trip. They’re not heading to Cambodia after this; they need to return to the office in a few days to continue working a job that allows them to spend so much on an island vacation. Ideally, that’s what I should do from now on: save my fancier trip ideas for when I meet the right travel partner. Though the time on the beach and in a spacious room was rejuvenating to my body, my soul still aches.